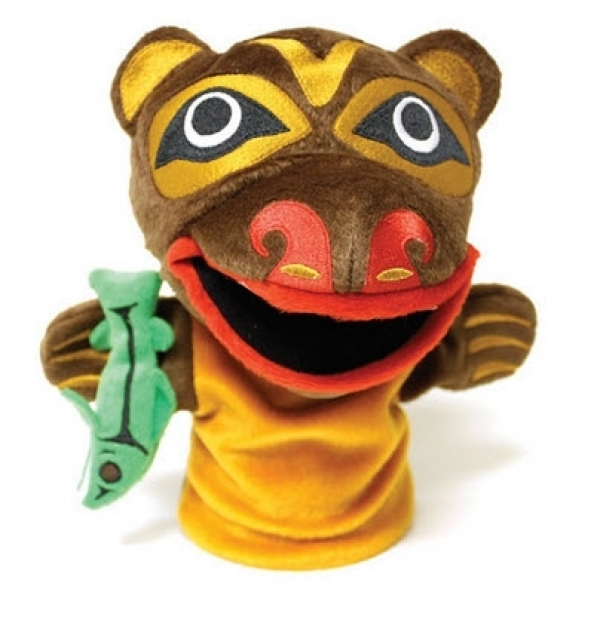 Hunter the Bear is a high quality hand puppet approximately 10" - 14". Made of all new materials. Art by Corey Bulpitt, Haida.